When I was at university I took a number of anthropology courses. I liked cultural anthropology best, because each culture has a different way of looking at the world, understanding people, and moving through life. I found this utterly fascinating, and real cultures were far more interesting to me than science fiction or fantasy fiction. One thing that I learned in case study after case study is that people who live in technologically limited cultures have a vastly superior knowledge of the natural environment they live in, compared to those in "modern" societies. They know every plant and animal in their area, what useful function it serves, and when and how it grows. I've been thinking about this a lot lately. We have a number of trees along and mostly just beyond our back fence line. We don't do much (yet) with that area because it's pretty shady, and farthest from the house. But I noticed last week that the oak was beginning to drop its acorns. There's also a smaller tree that I had never bothered to identify growing halfway in the shade of that oak tree. I have noticed over the three winters we've lived through on this property that that tree retains its leaves, still green, until long after the other trees have shown their colors and dropped their leaves. This year I'm seeing both of these trees in a new light. I'm just chagrined to think it took me this long. The smaller tree has thick clusters of dark berries all over it, and oval-round leaves with the tiniest serration along the edges. With the help of a tree field guide, I identified it as a European buckthorn. The berries aren't very tasty; they're at least as astringent as they are sweet. 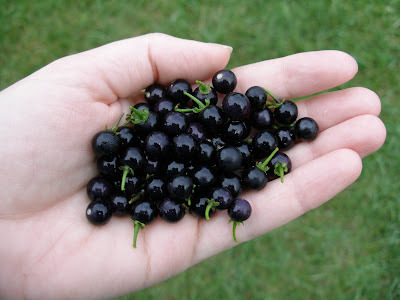 But they're not poisonous, and the chickens will eat them if I throw in a handful of them, especially when mixed with the nearly identical looking Eastern black nightshade berries. The acorns likewise I have taken an interest in. Here is free food literally falling out of the tree. I am, admittedly, lukewarm on the idea of eating acorns myself. The processing for palatability is rather involved; reports I've heard on taste are rather unenthusiastic; and then there's the fact that most acorns contain weevils. But there is no denying the nutritional and caloric value of these nuts. The hens' culture, unlike my own, has no objection to consuming weevils. I know that acorns were a staple crop for American Indian tribes in California, to such an extent that there was a system of laws governing who had rights to gather acorns from which trees. I've also seen the pata negra pigs grazing on acorns in southern Spain, where a ham is graded higher the more acorns contributed to the pig's diet. A post by Sharon the other day got me to thinking again about the sustainability of even my tiny backyard laying flock. I buy organic locally milled feed for the girls, from a mill that re-uses the woven plastic feed bags, and I use less than a pound of this feed each day. But it constitutes the majority of their diet. If I couldn't make the drive to buy this feed, could I maintain even a few layers? I can't stockpile large quantities of the feed as it will go rancid within months unless the temperatures outside are near freezing. My township does not permit free-ranging birds, which severely limits the girls' ability to forage and find their own food. We're a two-person family, which also limits how much we'll generate each day in the way of kitchen scraps, particularly in the winter when we eat foods I canned during the summer. Right now the answer to the question of how we would feed the chickens without easy transportation seems to be: I have no idea. But I've felt compelled to at least start exploring this question lately. What do we have on hand on our little patch of property that we could use to feed the hens without purchased feed? The answers must lie in getting to know my land better than I do right now, and/or possibly getting the zoning laws that forbid free-range poultry changed. 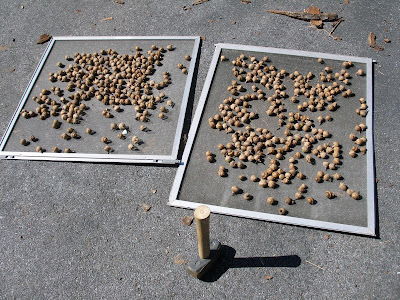 About one-third of my acorn haul thus far, drying on window screens, with the implement of destruction,...erm, I mean, cracking. 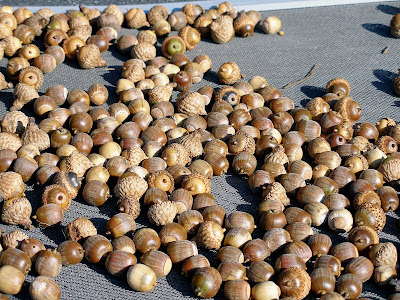 I laid a tarp out under a portion of the oak tree and have begun collecting acorns every other day or so. The windy fall weather, a couple of salvaged window screens, and the black surface of our driveway have helped me dry them for storage. Apparently acorns can provide up to 50% of a hen's daily feed. I need only find the motivation to crack open the nuts to feed our girls. I can't do it all in one session as the acorn meats will turn rancid rather quickly once exposed to air. So it'll be a semi-weekly chore, at least. I've written at the co-op about the weeds that my chickens will eat during the growing season, and here recently about feeding them ripe eastern black nightshade berries. Feeding the hens during the summer months would be fairly easy. They eat so many weeds, and the Japanese beetles are abundant, not to mention zucchini. Even fall wouldn't be too difficult with the apples coming in, and acorns in most years, not to mention the seeds from the pumpkins and winter squashes. But winter and early spring would be real challenges. I could plant more sunflowers and be more careful to save the seed for the lean months. But my intuition is that I would still come up short. So how about you? What do you produce or use for animal feed that's close to hand? I'd be particularly interested in hearing how some of you use the limited resources of a small residential property. What other uses do you find for the things your patch of earth provides? 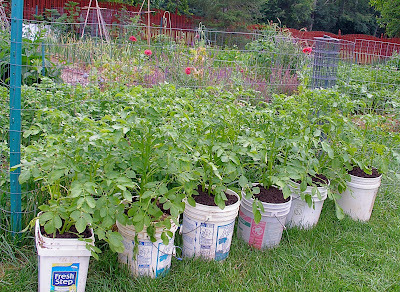 This spring I planted German Butterball potatoes in six plastic buckets. There have been reports of incredible yields from mounding potatoes exceptionally well. Claims of one hundred pounds harvested per pound of seed potato have been rumored. That kind of yield seemed fantastical to me, and other apparently rigorous scientific reports contradict such claims. Still, I wanted to try the experiment of potato mounding for improved yields for myself. I decided to trial late season potatoes, and each of the six buckets got just one seed potato each. I weighed the six seed potatoes together before planting, but not until I'd planted the fourth seed potato did I think to weigh the individual pieces. So I marked the weight of the last two seed potatoes on the buckets they went into. First, a little background on what I might have expected from "normal" potato planting in terms of harvest yields. I'm told that a good commercial potato grower expects to see a 5x-8x return on each pound of seed potato he or she plants. In other words, plant a pound of potatoes, and you're doing well if you get anywhere from 5 to 8 pounds at harvest. I planted my six buckets with just under a pound of seed potatoes. To be precise, it was 15.6 ounces of seed which had lost some moisture and begun to sprout (as is recommended for planting potatoes). As the plants grew up inside the bucket, I added more dirt to leave about 5"-6"of growth above the soil line until the buckets were entirely full. As bad luck would have it, spring this year was exceptionally wet. We got hit with late blight on our potato plants in early August, and soon after on our tomato plants as well. All was not lost however with the potatoes. As was recommended to me by our Agricultural Extension agent, I cut the potato plants down to the ground and destroyed them, but left the tubers undisturbed in the soil. If we waited at least a few weeks to harvest, he gave us even chances on harvesting a blight-free crop of the tubers. We followed his excellent advice and so far have seen no evidence of the blight on the spuds themselves. I'm getting to the yields on our six bucket-grown potato plants in just a moment, but I want to emphasize that the need to cut down the potato plants earlier than normal in the season almost certainly means that our yields were smaller than they otherwise would have been. From the 15.6 ounces of seed planted in the six buckets, I harvested 8 pounds, 8.9 ounces of potatoes on Sunday. That's an 8.8x return, placing the potato bucket harvest slightly above the high end of average commercial yields. In other words, the potato bucket plantings did great, in spite of the blight. One of the two buckets for which I had the individual seed potato weight produced the lowest yield, probably because it was the one bucket in which I found a few rotten potatoes. That bucket received a 2.3 ounce seed potato, and yielded 1 pound, 4.1 ounces (or 8.7x). The other bucket for which I recorded the seed potato weight (2.1 ounces) yielded 1 pound, 13.5 ounces, or an incredible 14x return. The four buckets for which I did not record individual seed potato weights used 11.2 ounces of seed potato between them, and yielded 6 pounds, 8.2 ounces, or a return of 9.3x collectively. Given that we got hit with late blight, I feel that we could expect a slightly better return in a more average year. Most of these containers were food-grade plastic, 5-gallon buckets. One was a little smaller than the rest, however this did not seem to make much difference to the quantity of potatoes from that bucket. Although I was not exceptionally rigorous about examining this, it seemed to me that all of the tubers were produced along one part of the plant at the lowest level of the bucket, right around where the original seed potato was placed. The mounding may still have helped these plants produce more by providing additional nutrients. But it did not appear to me that additional sets of tubers were produced higher along the stem as the plant grew upwards. Although the yields I saw with the potato buckets were nowhere near the fabulous yields ascribed to potato towers, I think the concept has other merits worth considering. For one thing I should note that the potatoes we had in buckets were situated right next to the first group of in-ground potatoes to show late blight, and yet they were the last of all our plants to show any evidence of blight. I believe that the better-than-in-ground drainage in the buckets helped the plants, as did the higher elevation of their stems and leaves, which allowed for better air circulation. Blight strikes where there is enough moisture to support the fungal infestation, and these bucket-grown plants were drier than those in the ground. In fact, I had to water these plants quite a bit, whereas rainfall alone took care of the potatoes in the ground once they were established. Another benefit of growing the potatoes in buckets was the ease of harvest. All that was necessary was to dump each bucket into a wheelbarrow. Inevitably when digging for potatoes in the ground, I spear a few spuds with my pitchfork. That never happened with the potato buckets. Also, there's very little chance that I missed any potatoes from the buckets. Clearly I missed a few potatoes during last year's harvest, because I had a few volunteer potato plants where they weren't especially wanted in the garden this spring. Though the buckets were heavy, the harvest from potato buckets was much easier than the digging we'll need to do to harvest the rest of our potatoes. In terms of yield per square foot of garden space, I honestly cannot say whether the buckets are superior to growing potatoes in the ground. But the harvest was very easy indeed. I know I've seen a picture, somewhere, of planters stacked in a pyramid shape, with plants growing out of each one. (I've you've seen this picture whilst poking around the intertubes, please point us there in the comments.) Each container on the second course straddles at least two containers on the first level, leaving enough room for the plants in the first course to grow. While I wouldn't want to build a very high pyramid with 5-gallon buckets, I think it might be worth trying. Anything above 3 courses high would be too difficult to fill in gradually, water, or remove for harvesting. But the pyramid idea would help to maximize the yield from a given area of garden space. And it could be grown on a driveway or some other space not otherwise useful for food production. Rob over at One Straw has been experimenting this year with 2'x2' potato towers. He should be harvesting them fairly soon. I look forward to seeing what we can learn from his results this year. Apropos of the baking I've been doing lately, I've got a post today over at the Simple, Green, Frugal Co-op on sourdough starters. Click the portal to visit and read my post. Still just slightly warm from the oven, cut open with a little bit of butter? Divine! 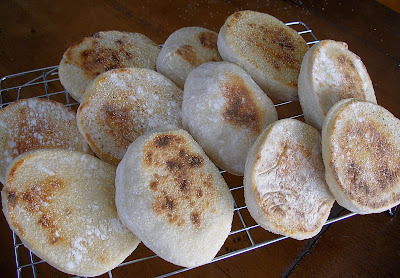 Here's a batch of sourdough English muffins, which are cooked in a skillet rather than baked. Aren't they full of character? Character is important in things farinaceous, I think. These are reproductions of the best English muffins I've ever had in my life, from the Cheese Board bakery in Berkeley. The recipe source is The Cheese Board: Collective Works: Bread, Pastry, Cheese, Pizza . This is the solution to leftovers from the English muffin recipe. Cut the dough up with a circular cutter and you end up with scraps, which then become a zampano, also of the Cheese Board. Basted with garlicky olive oil, sprinkled with kosher salt, and then lovingly topped with a few chili pepper flakes and a grate or two of parmesan when it comes out of the oven. They don't hold well at all, which makes it a crime not to eat them the day they are baked. Man! I'm full now. My weekend looks to be absolutely packed. Hope yours is a good one. I spent far more time than I would have preferred yesterday tackling a very basic sewing project with the help of an experienced quilter and all around sewing perfectionist. I'm very pleased with the way my cloth gift wrap turned out. I think it's beautiful, and it's probably one out of the five wraps I have planned that I'm going to keep at home for our own gifting needs. Not least of all because it's probably going to be the most perfectly executed one. The idea behind these gift wraps is that the fabric on one side, at least, is suitable for the holiday gift-giving season, while the other side is more suited for festivity in general, and thus appropriate for birthday gifts. I was talked into the purple color above as a Christmas color, because purple is associated with the Catholic season of Advent. I come from a Catholic background, so there is some relevance there. But also, I just like the color purple, and it picked up the accent color in the print fabric above. So each cloth gift wrap is essentially a perpetual replacement for paper gift wrap. Each of the wraps I plan to make uses two full yards of fabric, so I'll be able to wrap rather large gifts with each one. Getting the wrapped gifts to look neat and tidy is probably going to require some practice, or else some sturdy (and re-usable) wire-edged ribbon. While I'm glad to be able to report some progress on my sewing competency goal for 2009, I can say with a high degree of certainty that this is never going to be a hobby I engage in for fun. That's just fine, I think. My goal was only to get to a point where I could say confidently, "yeah, I could do that;" provided of course that "that" meant a fairly uninvolved repair job, or a simple project designed to use up scrap fabric that would otherwise go for rags or into the trash (such as a colored bed sheet my husband spilled bleach on). An improvement in my ability to reduce household waste was all I was aiming for. After the four-and-a-half-hour lesson, during which time we managed to complete just one extremely simple wrap, I now need to find the motivation to finish off the other four wraps that I purchased fabric for. I am somewhat hampered by not having, as my mentor does, a room set aside just for the purpose of sewing, as well as sundry tools designed to make the process easier. Given that I don't ever envision throwing myself wholeheartedly into things sewing, I'm pretty reluctant to spend money on such tools, useful though I know them to be. While there is satisfaction in having completed one small project, I don't enjoy the process of sewing enough to invest in more than just the basics. 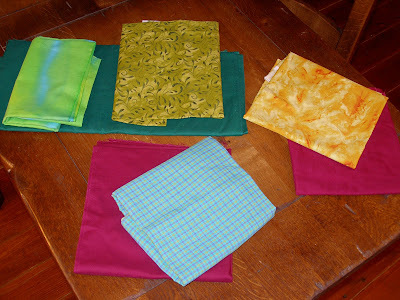 Here are the fabrics that will go into the rest of the gift wraps I plan to make. Check back with me before the holidays to see if I get these done! Nothing major to report lately, but lots of minor things in the works. The weather has turned autumnal. (Isn't autumnal a great word?) 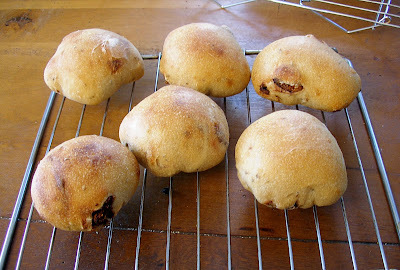 That means I'm in the mood to bake again, even though we still have quite a bit of bread in the freezer. I began a sourdough starter earlier this week, since room temperatures are now perfect for sourdough. Not long ago, Hank made me insane with jealousy over his fig "problem." 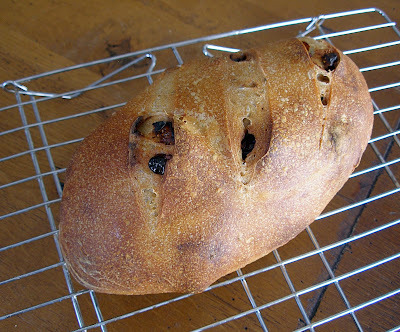 This reminded me that there's a special fig-anise bread in the book Artisan Baking that I desperately want to try, but first I need this starter to be ready to leaven. 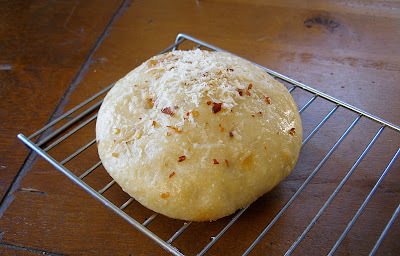 I also hope to get a very large supply of sourdough English muffins made and stashed away before the real cold sets in. We don't keep our house warm enough for a sourdough starter to be too happy here over the winter. Instead of discarding the majority of the dough with each refresh of the starter-in-progress, I've been cooking it in a skillet and feeding it to the hens. They seem to like it. Our DIY cold frame, with sprouts of beets, spinach, lettuce, carrots, Tuscan kale and even some all but invisible parsley and scallions. We'll have to thin three out of the four kale sprouts in the top center. This is my first foray into the square foot gardening method. Seedlings are up in our first ever cold frame. This is encouraging to me at a time of year I typically find discouraging. I love sweater weather; really I do. I just think we ought to have another two or three weeks of proper summer here, especially since the spring was such a bust. We didn't get much of a tomato crop this year, and there are no second chances with the heat-loving plants in the area I live. 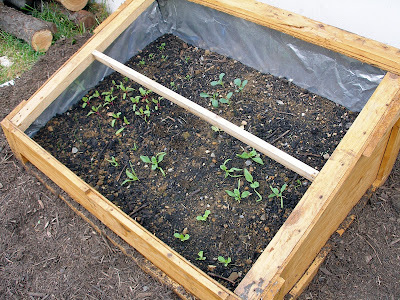 The cold frame is helping to distract me with visions of fresh vegetables plucked from the clutches of winter. I now have a serious case of cold frame greed. I want more square footage under glass next year. I had expected the soil in our cold frame to settle more than it has by now. We may have only very short scallions and kale. I have found a sewing mentor. She's even local, and isn't charging me anything, though I'll take her part of the sourdough starter when it's ready. So all of you who have despaired of me ever doing any damn thing about my sewing competence goal for this year may have cause for cautious optimism. 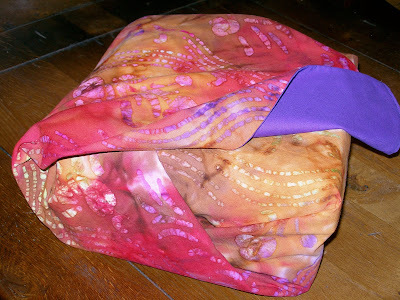 I've decided to try replicating Julie's lovely cloth gift wraps, inspired by the Japanese art of furoshiki. I had a bit of a shock when it came to purchasing the fabric. There weren't any cheap $2.99-per-yard, made-in-China bolts at the Mennonite fabric store. These wraps that I had planned to deliver my holiday gifts in are probably going to price out close to what I'd like to be spending on the gifts proper. I'm trying to see the expense as part of a learning process as well as holiday gift making. In other news, I've been feeding my hens the ripened berries of the eastern black nightshade plant. Who knew that a plant with such a minatory name could produce safe and tasty berries? But beware: the rest of the plant is toxic, and the unripened berries are toxic as well. The ripe ones? They taste an awful lot like tomatoes. But since a handful is all I can collect at one time from the volunteers around the garden, and since my new girls are so finicky about so many other things, I let them have these dark fruits they seem to love so much. Pretty, aren't they? What's new at your place? This is my second year growing popcorn. Last year I grew a miniature variety which I harvested in early August. While the variety matured on the early side, I think I was a little premature in harvesting last year. The popcorn popped. But the kernels were smaller than even the miniature variety would necessarily have produced. I get a surprising amount of traffic to my blog on search terms for harvesting popcorn. So it seems a lot of home growers out there are looking for information on when to harvest their crop. Who knew? Harvesting sweet corn can be done simply by counting three weeks from when the tassels appear. But popcorn harvest is much more ambiguous. I myself have been a little uncertain this year. So, plucky soul that I am, I got my question to someone at the Rodale Institute, which is reasonably local to me. The word that came back was that, ideally, ears of popcorn should dry on the stalk. However, if the weather continues wet, it may be better to harvest the popcorn and dry it inside. Ears ready for harvest will have lost their green coloration and the husks will look dry. One indicator that will tell you harvest should have been done yesterday is the stalk. 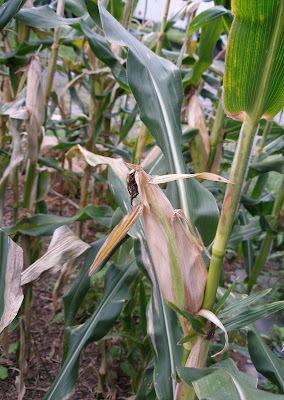 If the stalk looks dry, but becomes soft and pithy, the plant is essentially rotting, and that's eventually going to affect the ear of corn too. If you see those characteristics on your popcorn stalks, harvest the ears and get them out of the damp. 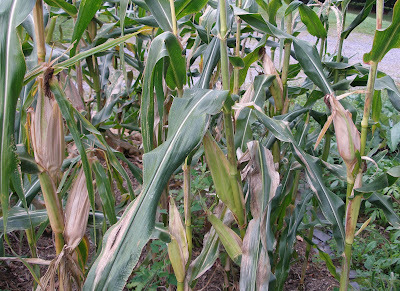 Above all, the gardener should prevent the ear of corn getting moldy. Admittedly, harvesting popcorn calls for subjective judgment and a close eye on the weather forecast. There's no rule based on a fixed number of days after planting, or a hard and fast date on the calendar. That's the way it goes with some crops. Drying the corn inside can be done on screens, such as those from old storm doors, or on wire fencing or hardware cloth that you might use in the garden. You could also put the ears into net bags saved from store-bought onions, and then hang the bags up air out. If you have burlap bags, that might also work. Hanging the popcorn up will also discourage any critters you might have in a garage or outdoor drying area from helping themselves. It's best to dry the corn, like just about everything else, out of direct sunlight, away from intense heat, but where there's lots of air circulation. There's still a bit of green on this mostly dried out husk. If the weather cooperates and stays dry, I'll let the green fade completely before harvesting. Given these guidelines, I'm going to let my popcorn go for a while yet, if I can. We had several days of very wet weather last week, but this week has turned autumnal and dry. I'm hoping our current pattern of just warm, dry days and cool nights will hold. If it does, I may be able to harvest in a couple weeks. P.S. If you want suggestions on cooking perfect oil-popped popcorn, go here. September's Frugal Action Item could be a relatively costly one. Back in June I suggested that those of you who own vehicles "re-invest" some savings to reduce your insurance premiums. I know we haven't had all that many months to build up another pile of savings. But with cold weather coming on again, I'm going to urge you to think hard about improving the energy efficiency of your home. If we wait much longer, it'll be too cold outside (in my part of the world at least) to undertake some of these projects. The good news is that if heating is a major expense for your home, every dollar spent on improving energy efficiency will start paying dividends very quickly. Because I try hard to come up with Frugal Action Items that suit both renters and homeowners, I've included a few low-cost hacks that will help a little bit with heat loss around windows. But those homeowners who can scrounge up the money to make significant improvements in insulation around the house will see the best return on investment over the long term. We covered pipe insulation back in January, so I won't rehash that here. Instead we'll look at the bigger scale insulation projects. Basement - If you live in a home with an unfinished or semi-finished basement, the walls are radiating cold during the winter months. Depending on where you live, that could be a whole lotta cold. This is great if you want to portion off one part of it and turn it into a root cellar. But not so great if it simply produces a chilly air mass under your living space. For this sort of project, you'll probably do best to have professionals in for insulation and air sealing. Attic - Most homes in the US do not have sufficient insulation in the attic space, if there is one. And doubly true for old homes. Fortunately, this is usually one of the easier parts of the home to insulate. Since most attics are used only occasionally it's also one of the less disruptive insulation jobs. Best of all, since hot air rises, insulating above the living space of your home is extremely effective in cutting the heating bill. If you're willing to get a little dirty, this is a project you might be able to tackle on your own. Get a good handyman reference book out of the library to guide you. Blown-in insulation - This is one of the more disruptive and intrusive type of remedial insulation, addressing heat loss that should have been dealt with when the home was constructed. Basically, it involves filling the spaces between either floor joists or wall studs with loose material that prevents heat from leaking through the walls. A lot of the rentals I lived in in a warmer climate had no insulation whatsoever in the walls. If you've bought such a property, you're paying more to heat your home than you should. Obviously, if you already have insulation between the studs in your walls, no action is needed. Windows - Window replacement is one of the most expensive insulation projects we can undertake. Really, we're talking some serious outlay of cash here. If you have an old house with single pane windows, you're probably losing quite a bit of heat through them. But replacing them is going to cost dearly too. And replacing a window isn't one of those jobs around the home that I would recommend for a DIY-er. Unless you already have quite a bit of experience doing this job, it needs to be hired out. A poorly installed window could lead to more heat loss and water damage around the window frame, not to mention aggravation and marital discord. If the money isn't in the budget to replace all your windows, consider replacing those located closest to your heating source, if you happen to have a woodstove or other single source of heat. After that, prioritize those windows in the rooms most heavily used during the heating season. If you have drafty or old windows but simply don't have the money to replace them, here are a few lower cost suggestions. Even if you're a renter, these hacks could be worth your time and effort. Silicone caulking - this stuff is cheap and easy enough to use that just about anyone can learn to do it. You can use it to seal up cracks around window or door frames. Even if you have modern, well installed windows, you might have some air leaks. Anywhere you see cobwebs, that's an indicator that there's airflow. So when you find them near windows, look to see where that airflow is coming from. 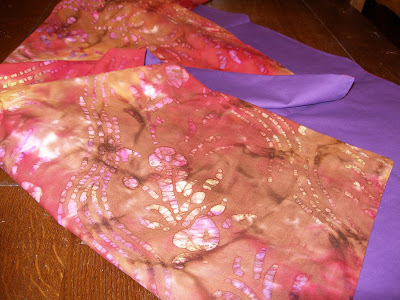 Kathie posted quite a while back at Women Not Dabbling In Normal about a sewing project for window quilts. While this blocks a great deal of light, it also helps keep out the chill radiating from windows in the winter, and helps block drafts if you've got them. This could be a very cheap project if you repurpose the needed fabric and batting, and if you're already a somewhat competent sewer. Although each window quilt is fitted to the window it's made for, if you're a renter, you can take these with you when you leave and either use them as is, or alter them to fit windows in your new location. Shrink-sealing window kits - These cheap and semi-permanent window seals can help with old windows that leak heat like a sieve. You can find these sorts of kits at a hardware store for not too much expense, and install them around your windows in an afternoon. You'll need a hairdryer, and if you don't dust much you'll need to make sure the window trim is cleaned off. Beyond that, no expertise is required, so any adult could manage this. If your windows lack a wooden frame, or if that frame is blocked by some other architectural feature, it may be tricky or difficult, but you could probably hack something if you put your mind to it. Effectively, these shrink kits add a pane to your window. So single pane windows become double pane, and double panes become triple pane windows. I used these kits during my student rental days and they helped enormously. Once installed, these seals aren't all that noticeable, and they block no light. So they're suitable for just about any leaky window in your home. The kits are cheap enough that you could take them down each year in spring and replace them each fall, though it's better in the long run to just upgrade your windows. Finally, the ultimate cheap window insulating hack is simply to lightly mist the pane of glass with water and then place a cut-to-fit piece of bubble wrap over it. The water helps the bubble wrap stick to the glass, but if you have trouble with this, you could try adding a bit of dishwashing soap to the water before spraying the glass. This is cheaper and less labor intensive than the window quilts. It also lets more light come through. It doesn't look too great, I have to admit, and it only covers the cold glass; it doesn't do anything much about drafts. But if you have windows which usually have blinds drawn in front of them anyway, it won't change the appearance of the room. Doors - If you don't have proper exterior doors on your home with good weather stripping, replacing them should be very high on your list. Interior doors are not made with weather or security in mind. On the other hand, replacing an exterior door that's in decent shape just because it's old or you find it ugly probably isn't going to make much difference for your heating or cooling costs. Upgrading an older exterior door might save you $15 over the course of a year, but you'd get a better bang for your buck with a different efficiency project. It is however worth checking the frame around your door for air leaks, just as recommended for window frames. If you live in the US, one thing to keep in mind before beginning any insulation upgrade to your home is that many of these expenses can reduce your income taxes. Tax credits for 30% of the cost, up to $1500, are available for various energy efficiency home projects. If you live in another country and can link to any tax credits or incentives available in the comments, I'd appreciate it.